The world's best-selling, lightweight two-seater, the Mazda MX-5 Miata, is making a big return to the market for the 2016 model year. Completely redesigned, the fourth-generation 2016 Mazda MX-5 Miata is smaller, more aggressive, faster and comes with many more features than the outgoing Mazda MX-5 Miata model. Available in three trims: Sport, Club and Touring, the roadster accommodates a variety of different drivers and offers several diverse, unique options. For additional details about the car and its wide range of amenities, read our 2016 Mazda MX-5 Miata review below. The original Mazda MX-5 Miata was considered affordable, reliable and fun-to-drive when it made its debut in 1989 and the all-new 2016 Mazda MX-5 Miata contains these same qualities. Its suite of SKYACTIV® TECHNOLOGY deliver top-notch fuel economy, offer incredible handling and smooth ride quality. A 220-pound reduction in weight has also drastically improved performance, which will leave drivers throughout Missouri impressed with the 2016 Mazda MX-5 Miata in Springfield. In addition to these perks, the 2016 Mazda MX-5 Miata will come standard with a six-speed manual transmission, as well as standard Bluetooth connectivity, power locks, a leather-wrapped shift knob, a USB audio input and LED headlights for the first time in the car's history. A SKYACTIV-G® 2.0L engine, delivering 155 horsepower and 148 lb.-ft. of torque, will be fitted to the 2016 Mazda MX-5 Miata in Springfield. It will come matched with a SKYACTIV-MT® six-speed manual transmission and achieve an EPA-estimated 27 mpg city. Aside from the manual transmission, a six-speed automatic will also be available and have the ability to produce an EPA-estimated 27 mpg city/36 mpg highway. Figures for both models are greater than those delivered on the 2015 Mazda MX-5 Miata, proving the all-new, fourth-generation sports car is better than it has ever been. To learn more about the incredible roadster and receive spec information, keep browsing our 2016 Mazda MX-5 Miata review. 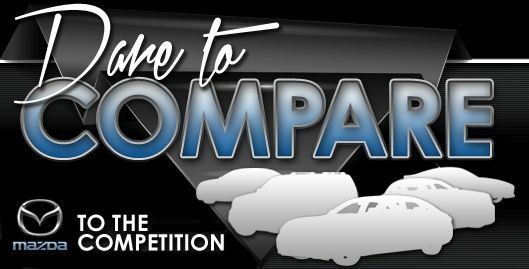 Compare the 2016 Mazda MX-5 Miata side-by-side with vehicles like the 2016 Mini Cooper, Fiat 500 and the Ford Mustang, and we're sure you'll see that the Mazda MX-5 Miata beats out the competition in a variety areas. MO shoppers will be thankful for the Mazda MX-5 Miata's useful features and inexpensive cost. Hundreds of Springfield Mazda drivers choose it because it's a truly outstanding value; just compare its price to the forementioned vehicle options. For more information, check out the Mazda MX-5 Miata's quick-facts list below. For reviews of the 2016 Mazda MX-5 Miata and past models, Reliable Mazda is your trusted resource. As the chief Mazda dealership in Springfield it is our obligation to serve our customers with reviews drafted by the finest Mazda writers around. This Mazda review contains factual information about the Mazda MX-5 Miata and it's specifications, mpg and more. Please visit our Mazda review and compare archive if you feel the Mazda MX-5 Miata is not right for you; there you&ll learn about Reliable Mazda's entire lineup.